Previously we described How Install Apache Cassandra. 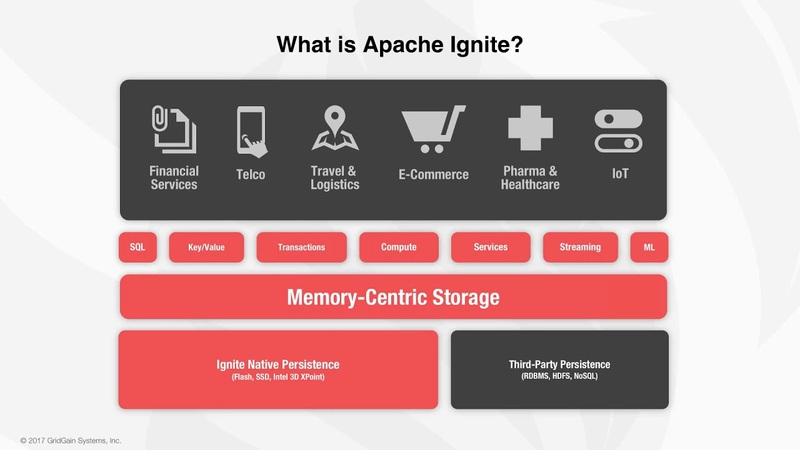 Apache Ignite is a distributed database, caching and processing platform. Apache Ignite utilizes RAM as it’s default storage and processing tier making it included in the class of in-memory computing platforms. Data in Ignite is stored in the form of key-value pairs. The database component scales horizontally. How to Install Apache Ignite on Ubuntu Depends on the Purpose. Apache Ignite nodes can be divided into two categories – server and client. Server nodes are for storage and computational purpose which hold both data and indexes and process incoming requests along with computations. Server nodes are data nodes. Client nodes are connection points from applications and services to the distributed database represented as a cluster of server nodes. Client nodes may be embedded in the application code written in Java, C# or C++. There is difference in the way Apache Cassandra used, compared to Apache Ignite. For that reason, we had in-depth guide on Apache Cassandra with some tweak of settings. In shared deployment, Apache Ignite nodes run independently from Apache Spark applications and store state even after Apache Spark jobs die. In Standalone deployment mode, Ignite nodes deployed with Spark Worker nodes. Apache Ignite can be deployed on the Mesos cluster. If you are following some other guide, you should read their purpose of installation. This Article Has Been Shared 6458 Times! Here Are The Ways To Join/Merge Multiple Log Files For Big Data Analysis, Store Them To OpenStack Based Cloud Storage And Delete Old Files. Apache Pig is intended for analyzing large data sets. Usually we combine Pig with Hadoop. Here is How To Install Apache Pig On Ubuntu 16.04. How To Learn Big Data With Free Courses and Resources? First You Need to Know the Proper Websites, Second You Need to Know What Not to Learn. Apache Flink is a big data processing engine which can run in both streaming & batch mode.Here Are the Steps on How To Install Apache Flink on Ubuntu Server. Cite this article as: Abhishek Ghosh, "How to Install Apache Ignite on Ubuntu Server," in The Customize Windows, August 3, 2018, April 23, 2019, https://thecustomizewindows.com/2018/08/how-to-install-apache-ignite-on-ubuntu-server/.